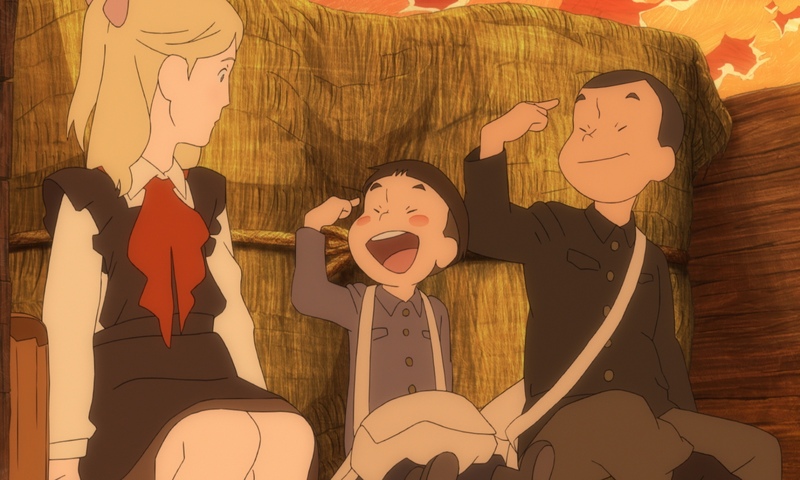 Drawing on the rich legacy of Grave of the Fireflies and Barefoot Gen, Nishikubo’s Giovanni’s Island tells the story of Junpei and Kanta, two young brothers living on the island of Shikotan, in the aftermath of the Second World War when the island is being occupied by Russian troops. The film blends real events with excerpts from Kenji Miyazawa’s Night on the Galatic Railroad, a metaphoric story about a train which carries souls in the afterlife. 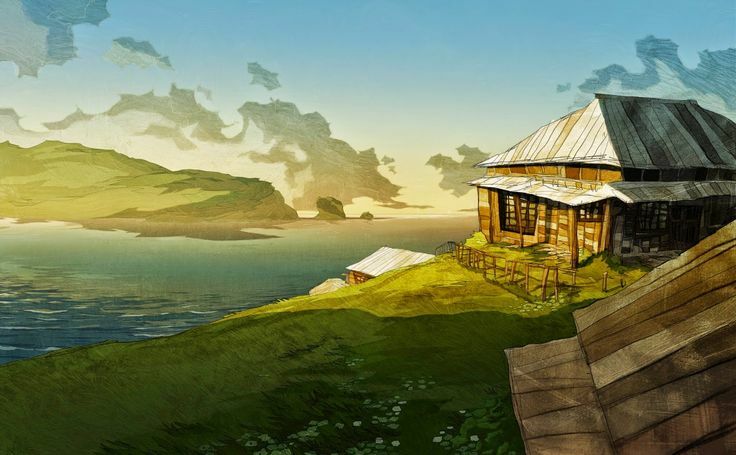 For the visual style, Giovanni’s Island is a wonderful film, the delicacy of details and elaborated backgrounds merge with a great colour palette; the humans are drawn with much of the stylization and structure of anime characters, with their features and reactions minimally expressed. However, on the narrative side, things are not as composed and united, for the most part the script is heavy-handed and filled with useless loops which do not add more to the characters and prevent the audiences to take in the drama. While the animated feature is clearly aimed at younger audiences, when one tries hard to squeeze in melodrama, one misses the point and loses the story. Filled with sentimentality, the story adds passages which are not explained in the bigger narrative structure, nor do the character’s motivations make sense on occasions. Furthermore, while it is clearly depicting the harrowing effects of war, Giovanni’s Island seems as implying that the island and the characters did not suffer so much during the war, as with the Russian occupation which drastically affected the inhabitants and conditions. While other films have a clear anti-war message, Nishikubo’s animation seems to drop the apologetic stance and focus only on the main characters’ plight. Scattering some heart-breaking realist scenes, such as the mother who is forced to throw her dead baby in the sea, or the concentration camp, the film is overly melodramatic, not allowing the audiences to empathize with the characters, rather provoking the opposite reaction. While the film has its points of attraction and some candid characters, it does not manage to grip the spectators in what promised to be a very interesting journey. For all it is worth, Nishikubo’s work might be more suited to younger audiences, leaving the more mature public pondering on the hits and misses. Production: Japan Association of Music Enterprises, Production I.G.